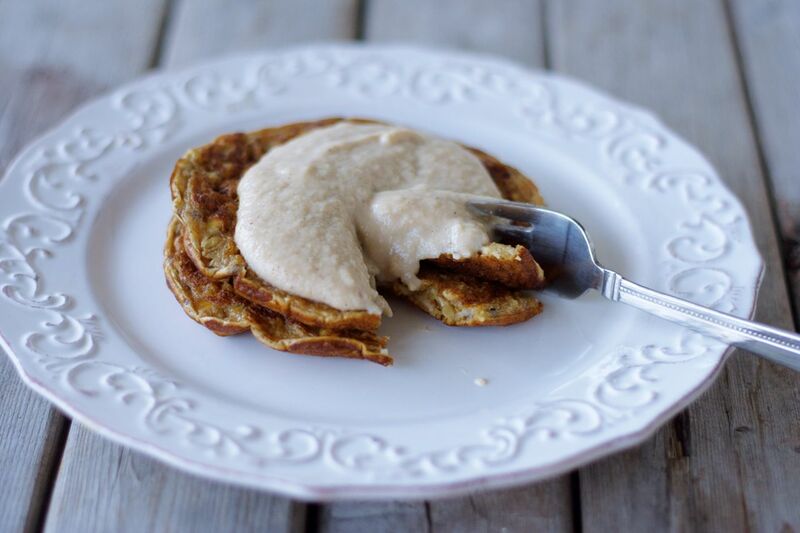 I used to make these oatmeal pancakes every other weekend. Do you remember? I’d get up late, as usual, slowly make my way to the kitchen, and start making the batter as my body awoke. I knew the recipe by heart. I love how versatile pancakes are. They’re great with pretty much any topping in my opinion. But you know me. I’d always eat them the same way. Topped with yogurt, blueberries and a drizzle of maple syrup. It was a comforting tradition. This time though, I thought I’d change it up. It’s been a couple of years after all. I served them with a creamy apple sauce to mark the arrival of fall. How delicious! And you, how have you been eating your pancakes lately? P.S. 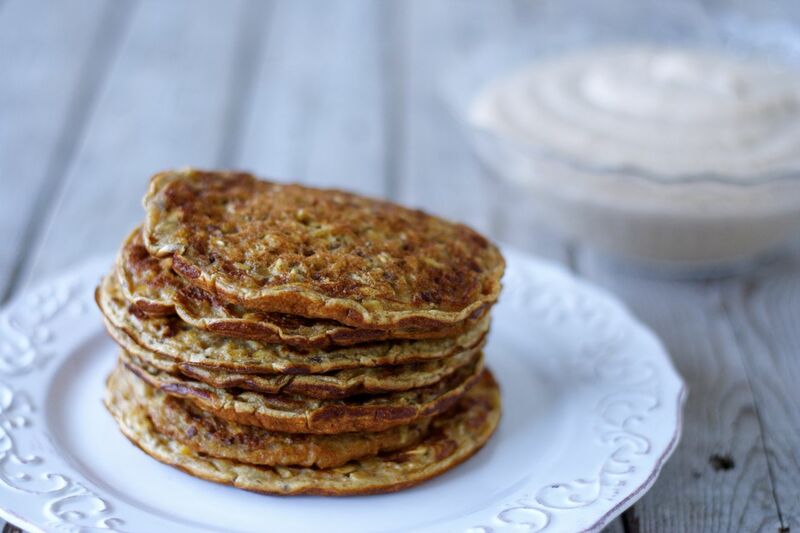 Banana-Buckwheat Pancakes and more breakfast & brunch ideas. 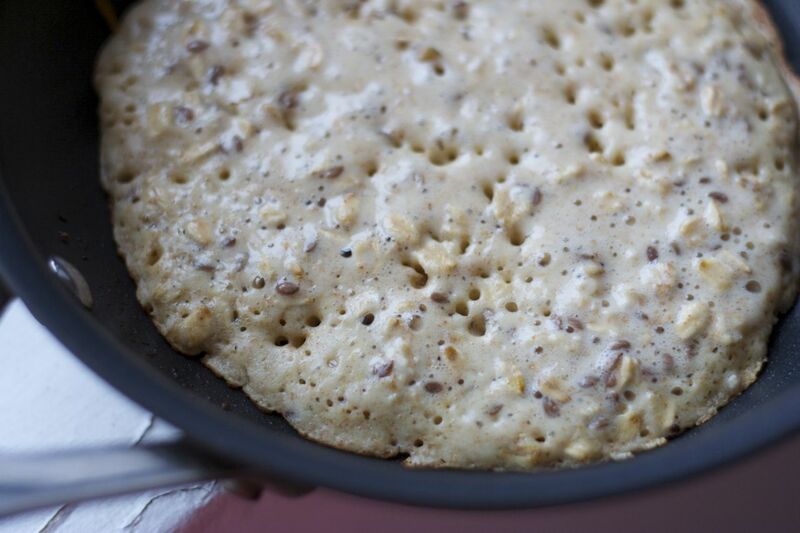 In a small bowl, whisk together the wet ingredients for the pancakes (milk, eggs, olive oil and vanilla extract). 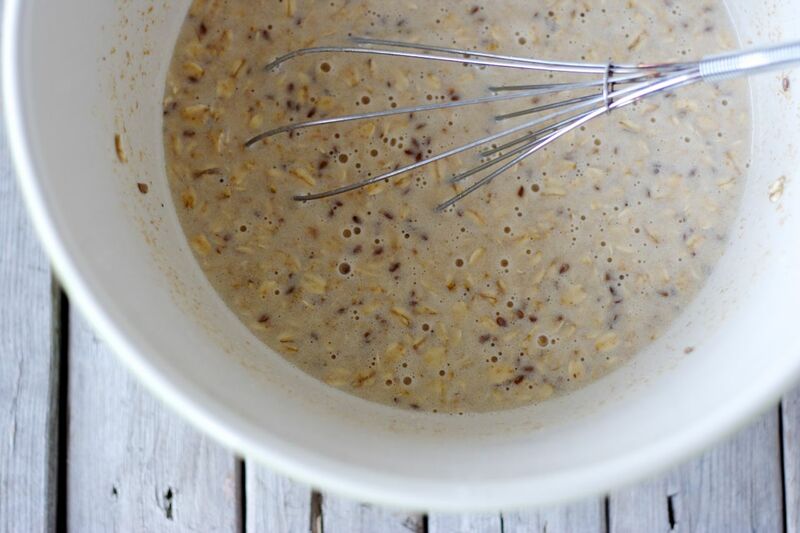 Pour the wet ingredients into the dry oat mixture and stir well to combine. Let sit for about 30 minutes. Meanwhile, prepare the apple sauce. 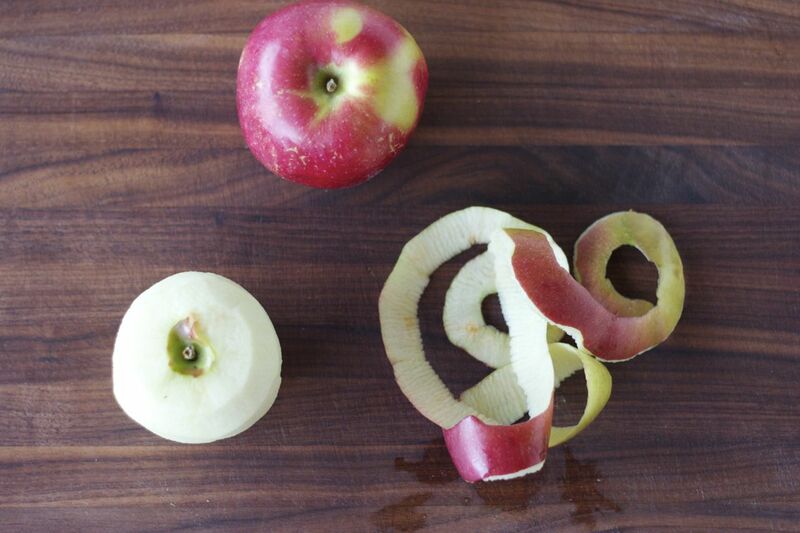 Peel, core and dice the apples. 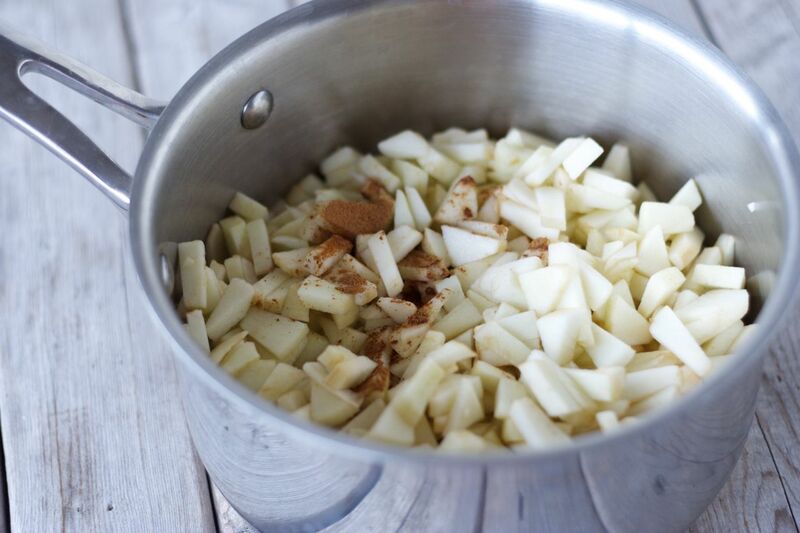 In a medium-sized pot, add the diced apples, water (or apple juice), cinnamon and nutmeg. Cover and bring to a simmer over medium-low heat. 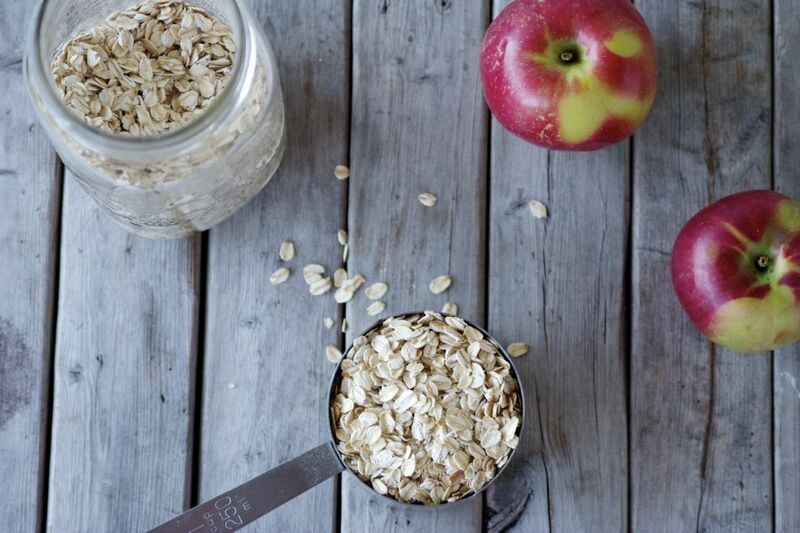 Cook for about 10-12 minutes until the apples are soft and fragrant. 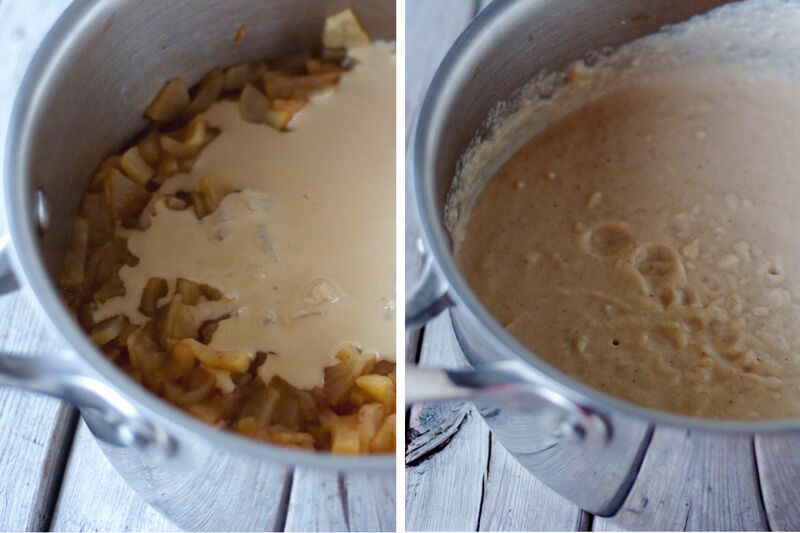 Remove from the heat and stir in the tahini, apple butter and/or maple syrup. 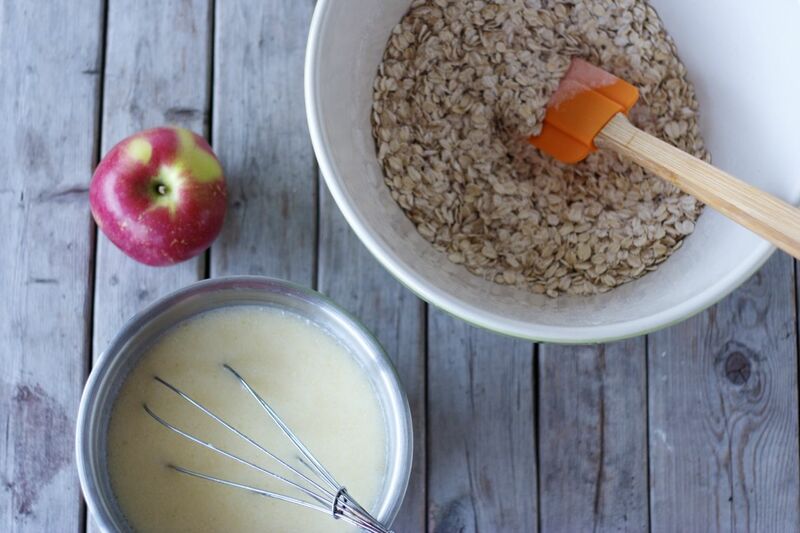 Using an immersion hand blender, purée the sauce until smooth. Set aside (keep warm if you wish). Time to cook the pancakes. Heat a frying pan over medium heat and grease with a little bit of oil or butter. Add about 1/4 cup of batter and cook 2-3 minutes, until bubbles appear. Turn the pancake over and cook for another minute or so. Serve pancakes topped with creamy apple sauce. Savour leisurely! Pancake recipe inspired by my mother. 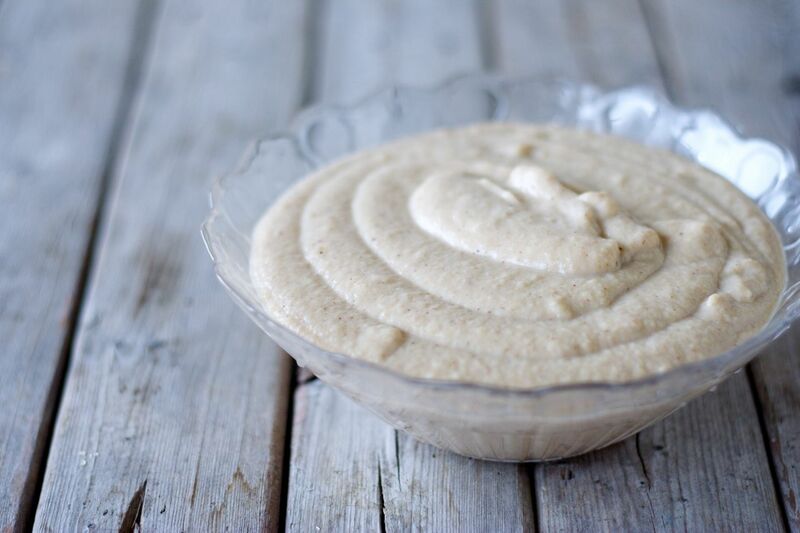 Creamy apple sauce inspired by Vicki Chelf Hudon.